Largest FANUC component level repair house in EUROPE. All are Functionally Tested before shipping. Pennine Automation offers in-house, comprehensive repair services. Every part arriving in our shop undergoes a thorough evaluation, exhaustive step-by-step process, and rigorous testing. We use heat chamber and overnight dynamic, full-load testing on Fanuc CNC simulators to guarantee the performance of the repaired part when it comes back to the customer. The factory-trained technicians in our world-class repair facility are committed to providing the best service with a quick turnaround for Fanuc CNC products. The GE Fanuc Automation Repair Services is backed by a six month warranty. We Bring machine tools back to life. Below are items we fix daily. Machine down, need a Fanuc Repair? Quality - We Take responsibility for all product repairs. we offer six months warranty. Genuine Parts Only genuine, new production parts are used on repairs. Best Technicians Our factory trained technicians are among the best in the industry. Fast Quick turnaround can reduce your downtime Same Day & 24 hours. World Class Facility Our high tech repair center is fully equipped. Emergency Repairs Same Day or 24 hours if the part needs cleaning. Testing - To determine if your item is working, send it to us for thorough testing and evaluation. Testing & Upgrading In addition to testing your Fanuc parts, we will upgrade it to the latest practical revision. Comprehensive Failure Analysis If the cause of the failure is not evident, we can troubleshoot it and provide a complete failure analysis report. Extended Warranty Available for customers interested in extending the normal GE Fanuc product warranty period. GE Fanuc is one of the largest suppliers of control systems and metal cutting technology in the world. To support our customers, we sell genuine CNC Fanuc Parts. Our mission is to increase your productivity by providing the highest quality CNC parts at competitive prices, with quick delivery to get your GE Fanuc CNC up and running and keep it running at maximum productivity. Fanuc repair services will increase your productivity with guaranteed quick turnaround and a return to original specifications. Our factory-trained technicians are committed to providing you with top quality repair services as we use the original manufacturing process to return your products to their original level of functionality. The story doesn't end there either. Watch your bottom line improve with the cost savings facilitated by our six-month warranty on all work and, if necessary, enhancements to your product with hardware updates. 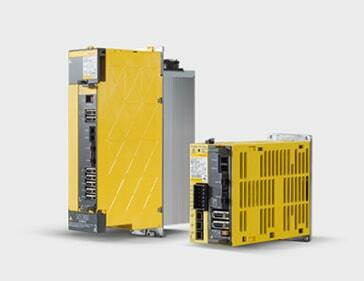 We have a full range of Fanuc Power Supply Modules ready for dispatch, Our range includes Alpha & CNC Control PSU's. We offer Alpha servo modules & Alpha spindle amplifiers. all fully tested for exchange service and new available. Vast Experience of repairing and standard exchange service on DC & AC Servo and spindle amplifiers extensive knowledge. For Fanuc CNC Systems 3, 5, 6, 7, 9, 10, 11, OT, OM, 15, 16, 18, 20, 21 extensive inventory for immediate dispatch. In-house experienced technicians offer fast and reliable fix service on most FANUC Pcb boards, servo and spindle drives, amplifiers and power supplies. Contact us today to discuss your Fanuc CNC Requirements. Save Money, our OEM Repairs are at Least 50% Below the high Manufacturers Prices. Machine down, need Free Help and Support ?! We are an Independent Fanuc Specialist. We are not affiliated to Fanuc uk, Fanuc Ltd or GE Fanuc. © Pennine Automation Spares. All rights reserved. We are an independent Fanuc Repair Specialist.